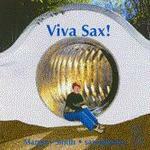 Performance by Margery Smith, Daniel Herscovitch from the CD Viva sax! Viva sax! : Margery Smith, saxophones. Sonata for Eb alto saxophone and piano / by Dulcie Holland. 1954: ABC Radio. Featuring Clive Amado, Olga Krasnik.